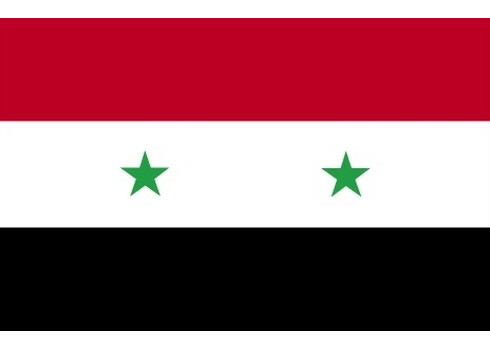 Here is a list of famous people from Syria. Curious if anybody from Syria made it our most famous people in the world list? Read the aformentioned article in order to find out. Saint Peter, also known as Simon Peter, is featured prominently as an early Christian leader, one of the Twelve Apostles of Jesus Christ according to the New Testament. He is venerated as a saint and traditionally considered to be the first bishop and Pope by the Roman Catholic Church, the Eastern Orthodox Church, and Oriental Orthodoxy. The son of John, he was from the village of Bethsaida in the province of Galilee or Gaulanitis. His brother Andrew was also an apostle. Two general epistles are ascribed to Peter, although the majority of biblical scholarship rejects the Petrine authorship of both. The Gospel of Mark was traditionally thought to show the influence of Peter's preaching and eyewitness memories. Several other books bearing his name—the Acts of Peter, Gospel of Peter, Preaching of Peter, Apocalypse of Peter, and Judgment of Peter—are rejected by the Catholic Church as apocryphal. According to New Testament accounts, Peter was one of twelve apostles chosen by Jesus from his first disciples. Originally a fisherman, he was assigned a leadership role and was with Jesus during events witnessed by only a few apostles, such as the Transfiguration. According to the Gospels, he confessed Jesus as the Messiah, was part of Jesus' inner circle, walked on water, denied Jesus, and preached on the day of Pentecost. Bashar Hafez al-Assad is the President of Syria, General Secretary of the Ba'ath Party and Regional Secretary of the party's branch in Syria. He has served as President since 2000, when he succeeded his father, Hafez al-Assad, who led Syria for 30 years until his death. Al-Assad graduated from the medical school of Damascus University in 1988, and started to work as a physician in the army. Four years later, he attended postgraduate studies at the Western Eye Hospital, in London, specializing in ophthalmology. In 1994, after his elder brother Bassel was killed in a car crash, Bashar was recalled to Syria to take over Bassel's role as heir apparent. He entered the military academy, taking charge of the Syrian occupation of Lebanon in 1998. In December 2000, Assad married Asma Assad, née Akhras. Al-Assad was reconfirmed by the national electorate as President of Syria in 2000 and 2007, after the People's Council of Syria had voted to propose the incumbent each time. Initially seen by the domestic and international community as a potential reformer, this expectation ceased when he ordered a mass crackdown and military sieges on pro-rebel protesters amid recent civil war, described by some commentators as related to the wider "Arab Spring" movement. The domestic Syrian opposition, the United States, Canada, the European Union states and the members of the Arab League have subsequently called for al-Assad's resignation from the presidency. He belongs to the minority Alawite sect and his government has been described as secular. James, son of Zebedee was one of the Twelve Apostles of Jesus, and traditionally considered the first apostle to be martyred. He was a son of Zebedee and Salome, and brother of John the Apostle. He is also called James the Greater or James the Great to distinguish him from James, son of Alphaeus. James the Greater is the patron saint of Spain. Andrew the Apostle, called in the Orthodox tradition Prōtoklētos, or the First-called, was a Christian Apostle and the brother of Saint Peter. The name "Andrew", like other Greek names, appears to have been common among the Jews, Christians, and other Hellenized people of the region. No Hebrew or Aramaic name is recorded for him. He is considered the founder and the first bishop of the Church of Byzantium and is consequently the patron saint of the Ecumenical Patriarchate of Constantinople. Michael George Ansara was a Syrian-born American stage, screen, and voice actor best known for his portrayal of Cochise in the American television series Broken Arrow, Kane in the 1979–1981 series Buck Rogers in the 25th Century, Commander Kang on three different Star Trek television series, Deputy U.S. Marshal Sam Buckhart on the NBC series, Law of the Plainsman, and providing the voice for Mr. Freeze in Batman: The Animated Series and several of its spin-offs. Hafez al-Assad was a Syrian statesman, politician and general who was President of Syria from 1971 to 2000, Prime Minister from 1970 to 1971, Regional secretary of the Regional Command of the Syrian Regional Branch and Secretary General of the National Command of the Ba'ath Party from 1971 to 2000. He participated in the 1963 Syrian coup d'état which brought the Syrian Regional Branch of the Arab Socialist Ba'ath Party to power, and was appointed Commander of the Syrian Air Force by the new leadership. In 1966, Assad participated in a second coup, which toppled the traditional leaders of the Ba'ath Party, and brought a radical military faction headed by Salah Jadid to power. Assad was appointed defense minister by the new government. In 1970 Assad seized power by toppling Jadid, and appointed himself the undisputed leader of Syria in the period 1970–71. Assad was first of all a pragmatist. He de-radicalized the Ba'ath regime when he took power, by giving more space to private property and strengthening the country's foreign relations with country's which his predecessor had deemed reactionary. He sided with the Soviet Union during the Cold War in turn for support against Israel. While he had forsaken pan-Arabism—or at least the pan-Arab concept of unifying the Arab world into one Arab nation—he did seek to make Syria the defender of Arab interest against Israel. His domestic policies led to a significant spike in corruption by the ruling class. This, coupled with general resentment again the Ba'ath government, led to the Islamist uprising. Nizar Tawfiq Qabbani was a Syrian diplomat, poet and publisher . His poetic style combines simplicity and elegance in exploring themes of love, eroticism, feminism, religion, and Arab nationalism. Qabbani is one of the most revered contemporary poets in the Arab world. George Wassouf is a Syrian singer with over 30 albums released. Wassouf's vocal style has been emulated by younger singers such as George El Rassi. Born in Kafroun, Tartous, Syria into a Christian household, he was called "the miraculous of his time" for his artistic talent in singing. Wassouf started singing at the age of 10 in his hometown Kafroun. He was discovered by his first manager and producer George Yazbeck at a wedding party that Wassouf was performing at, aged 12 years old. At the age of 16 he was called Sultan El-Tarab by George Ibrahim El Khoury a magazine director, Arabic for The Sultan of Music, with his classic song "el-Hawa Sultan". He became famous after appearing on the Lebanese show Studio El Fan 1980 when he was 19 years old when he was known as Sultan of Tarab. Wassouf preferred not to shoot videos for his songs saying "I don't feel I can act ... I really can't... I only find myself when I'm on the stage ... singing, but the video clip forces me to act". Farid El-Atrache, was a Syrian-Egyptian composer, singer, virtuoso oud player, and actor. Having immigrated to Egypt in childhood, Elattrache embarked on a highly successful career spanning more than four decades — recording 500 songs and starring in 31 movies. Sometimes referred to as "King of the Oud", he is one of the most important figures of 20th-century Arab music. Zenobia was a 3rd-century Queen of the Palmyrene Empire in Roman Syria, who led a famous revolt against the Roman Empire. The second wife of King Septimius Odaenathus, Zenobia became queen of the Palmyrene Empire following Odaenathus' death in 267. By 269, Zenobia had expanded the empire, conquering Egypt and expelling the Roman prefect, Tenagino Probus, who was beheaded after he led an attempt to recapture the territory. She ruled over Egypt until 274, when she was defeated and taken as a hostage to Rome by Emperor Aurelian. Philip the Apostle was one of the Twelve Apostles of Jesus. Later Christian traditions describe Philip as the apostle who preached in Greece, Syria, and Phrygia. In the Roman Catholic Church, the feast day of Philip, along with that of James the Just, was traditionally observed on 1 May, the anniversary of the dedication of the church dedicated to them in Rome. The Eastern Orthodox Church celebrates Philip's feast day on 14 November. One of the Gnostic texts found in the Nag Hammadi library in 1945 has been given the modern title "Gospel of Philip", though this text makes no claim to have been written by Philip. It gets the name simply because Philip is the only apostle ever mentioned in the text. Ismail ibn Kathir ‎ was a Muslim Muhaddith, Faqīh, Mufassir, and Historian. He was the author of Signs Before the Day of Judgment. Saint John of Damascus was a Syrian monk and priest. Born and raised in Damascus, he died at his monastery, Mar Saba, near Jerusalem. A polymath whose fields of interest and contribution included law, theology, philosophy, and music, he is said by some sources to have served as a Chief Administrator to the Muslim caliph of Damascus before his ordination. He wrote works expounding the Christian faith, and composed hymns which are still used liturgically in Eastern Christian practice throughout the world. He is considered "the last of the Fathers" of the Eastern Orthodox church and is best known for his strong defense of icons. The Catholic Church regards him as a Doctor of the Church, often referred to as the Doctor of the Assumption due to his writings on the Assumption of Mary. Pope John V was the head of the Catholic Church from 12 July 685 to his death in 686. He was the first pope of the Byzantine Papacy allowed to be consecrated by the Byzantine Emperor without prior consent, and the first in a line of ten consecutive popes of Eastern origin. His papacy was marked by reconciliation between the city of Rome and the Empire. Ali Ahmad Said Esber, also known by the pen name Adonis or Adunis, is a Syrian poet, essayist, and translator. He has written more than twenty books and volumes of poetry in the Arabic language as well as translated several works from French. Imprisoned in Syria in the mid-1950s as a result of his beliefs, Adunis settled abroad and has made his career largely in Lebanon and France. A perennial contender for the Nobel Prize in Literature, he has been regularly nominated for the award since 1988 and has been described as the greatest living poet of the Arab world. Michel Aflaq was a Syrian philosopher, sociologist and Arab nationalist. His ideas played a significant role in the development of Ba'athism and its political movement; he is considered by several Ba'athists to be the principal founder of Ba'athist thought. He published various books during his lifetime, the most notable being The Battle for One Destiny and The Struggle Against Distorting the Movement of Arab Revolution. Born into a middle-class family in Damascus, Syria, Aflaq studied at the Sorbonne, where he met his future political companion Salah al-Din al-Bitar. He returned to Syria in 1932, and began his political career in communist politics. Aflaq became a communist activist, but broke his ties with the communist movement when the Syrian–Lebanese Communist Party supported France's colonial policies. Later in 1940 Aflaq and al-Bitar established the Arab Ihya Movement. The movement proved successful, and in 1947 the Arab Ba'ath Movement merged with al-Arsuzi's Arab Ba'ath organisation to establish the Arab Ba'ath Party. Aflaq was elected to the party's executive committee and was elected "'Amid". Abul ʿAla Al-Maʿarri was a blind Syrian philosopher, poet, and writer. He was a controversial rationalist of his time, attacking the dogmas of religion rejecting the claim that Islam or any other religion possessed the truths they claim and considered the speech of prophets as a lie and "impossible" to be true. He was equally sarcastic towards the religions of Muslims, Jews, and Christians. He was also a vegan who argued for animal rights. Maher al-Assad is a Syrian general and commander of the Republican Guard and the army's elite Fourth Armored Division, which together with Syria's secret police form the core of the country's security forces. He is also a member of the Baath Party's central committee. He is thought by some to be the second most powerful man in Syria after his brother Bashar, the current President. Riyad Farid Hijab, born 1966 is a Syrian politician. He was Prime Minister of Syria from June to August 2012, serving under President Bashar al-Assad. From 2011 to 2012, he was Minister of Agriculture. On 6 August 2012, the Syrian government released a statement saying that Hijab had been dismissed. Shortly thereafter a man describing himself as Hijab's spokesman and several news organizations stated he had resigned and defected to the rebel side in the Syrian civil war. Information minister Omran al-Zoub's later remarks about "the flight of some personalities" were interpreted by The Guardian as referring to Hijab. Hijab is the highest ranking defector from the Syrian government. Posidonius "of Apameia" or "of Rhodes", was a Greek Stoic philosopher, politician, astronomer, geographer, historian and teacher native to Apamea, Syria. He was acclaimed as the greatest polymath of his age. His vast body of work exists today only in fragments. Sabah Fakhri: is an iconic Arabic traditional singer from Aleppo, Syria. Over the past 50 years of fame and popularity as a singer, Mr. Sabah Fakhri modified and popularized the then-fading form of traditional Arabic music, Muwashahat and Koodood Halabiya. He is well known for his exceptionally strong vocals, impeccable execution of Maqamat and harmony, as well as charismatic performances. He has numerous admirers around the world, and an excellent performer of authentic Arabic Tarab. Sanharib Malki Sabah is a Syrian footballer who plays as a striker for Kasımpaşa in the Turkish Süper Lig. and the Syrian national team. For K.S.V. Roeselare, his previous club, he scored their very first European goal, in the first qualifying round of the UEFA Cup 2006-07 against FK Vardar from Macedonia. He is of Aramean ethnicity. As an Aramean celebrity he also is the Ambassador of the Syriac Aramean Federation in the Netherlands and frequently makes appearances in Dutch media and publishes open letters to the Dutch Ministers to promote the Aramean cause in their homeland. Philip the Arab, also known as Philip or Philippus Arabs, was Roman Emperor from 244 to 249. He was born in present-day Syria, and went on to become a major figure in the Roman Empire. He achieved power after the death of Gordian III, quickly negotiating peace with the Sassanid Empire. During his reign, Rome celebrated its millennium. Among early Christian writers, Philip had the reputation of being sympathetic to the Christian faith. It was even claimed that he converted to Christianity, becoming the first Christian emperor, but this is disputed. He supposedly tried to celebrate Easter with Christians in Antioch, but the bishop Babylas made him stand with the penitents. Philip and his wife received letters from Origen. Philip was overthrown and killed following a rebellion led by his successor Decius. i Ala-al-din abu Al-Hassan Ali ibn Abi-Hazm al-Qarshi al-Dimashqi, known as Ibn al-Nafis, was an Arab physician who is mostly famous for being the first to describe the pulmonary circulation of the blood. He was born in 1213 in Damascus. He attended the Medical College Hospital in Damascus. Apart from medicine, Ibn al-Nafis learned jurisprudence, literature and theology. He became an expert on the Shafi'i school of jurisprudence and an expert physician. In 1236, Al-Nafis moved to Egypt. He worked at the Al-Nassri Hospital, and subsequently at the Al-Mansouri Hospital, where he became chief of physicians and the Sultan’s personal physician. When he died in 1288, he donated his house, library and clinic to the Mansuriya Hospital. Wafa Sultan is a medical doctor who trained as a psychiatrist in Syria, and an American author and critic of Muslim society and Islam. Imad ad-Din Zengi was the atabeg of Mosul, Aleppo, Hama and Edessa and founder of the Zengid dynasty, to which he gave his name. Abu Zakaria Mohiuddin Yahya Ibn Sharaf al-Nawawi, popularly known as al-Nawawi, an-Nawawi or Imam Nawawi, was a Sunni Muslim author on Fiqh and hadith. His position on legal matters is considered the authoritative one in the Shafi'i Madhhab. He was born at Nawa near Damascus, Syria. As with many Arabic and Semitic names, the last part of his name refers to his hometown. He studied in Damascus from the age of 18 and after making the pilgrimage in 1253 he settled there as a private scholar. From a young age he showed signs of great intelligence, and so his father paid for a good education. As a judge, he was much sought after for advice and adjudication of disputes. During his life of 45 years he wrote many books on Islamic studies and other topics. He collected and sourced 42 hadith of the Islamic prophet, Mohammed back to one of his companions. In 1267 he succeeded Abu Shama as professor of hadith at the Ashrafiyya [school] in the city. He died at Nawa at a relatively young age, having never married. Omar Bakri Muhammad is an Islamist militant leader who was instrumental in developing Hizb ut-Tahrir in the United Kingdom before leaving the group and heading another Islamist organisation, Al-Muhajiroun, until its disbandment in 2004. For several years Bakri was one of the best-known, high-profile Islamic radicals based in London, and was frequently quoted and interviewed in the UK media. For example, in December 2004 he vowed that Muslims would give the West "a 9/11, day after day after day," if Western governments did not change their policies. He has been described as "closely linked to al-Qaeda" — having released prepared statements from Osama bin Laden after the 1998 United States embassy bombings — but also as the "Tottenham Ayatollah", "little more than a loudmouth," and "a figure of fun." In 2005, following the 7 July 2005 London bombings the Times reported that "a dozen members" of his group Al-Muhajiroun "have taken part in suicide bombings or have become close to Al-Qaeda and its support network." Shortly after, he left the UK, where he had sheltered for 20 years, for Lebanon. While there he was informed by the Home Office that he would not be allowed back into the UK. Lebanon's state-run National News Agency said on 12 November 2010 that Bakri was among 54 people sentenced by a military court to life in prison with hard labor after being accused of acts of terrorism. After the decision Bakri told reporters, he would "not spend one day in prison", and said, "I will not hand myself in to any court. I do not believe in the law in Britain as in Lebanon," It was reported on 14 November 2010 that he had been arrested by the Lebanese police and was being transferred to Beirut. Izz ad-Din Abd al-Qadar ibn Mustafa ibn Yusuf ibn Muhammad al-Qassam was a Muslim preacher who was a leader in the fight against British, French, and Zionist organizations in the Levant in the 1920s and 1930s. Born in Syria, he later immigrated to British Mandate Palestine where he eventually found his death in a violent confrontation with the British authorities. Maher Arar is a telecommunications engineer with dual Syrian and Canadian citizenship who has resided in Canada since 1987. Arar's story is frequently referred to as "extraordinary rendition" but the US government insisted it was a case of deportation. Arar was detained during a layover at John F. Kennedy International Airport in September 2002 on his way home to Canada from a family vacation in Tunis. He was held without charges in solitary confinement in the United States for nearly two weeks, questioned, and denied meaningful access to a lawyer. The US government suspected him of being a member of Al Qaeda and deported him, not to Canada, his current home and the passport on which he was travelling, but to Syria, even though its government is known to use torture. He was detained in Syria for almost a year, during which time he was tortured, according to the findings of a commission of inquiry ordered by the Canadian government, until his release to Canada. The Syrian government later stated that Arar was "completely innocent." A Canadian commission publicly cleared Arar of any links to terrorism, and the government of Canada later settled out of court with Arar. He received C$10.5 million and Prime Minister Stephen Harper formally apologized to Arar for Canada's role in his "terrible ordeal". Iamblichus, also known as Iamblichus Chalcidensis, or Iamblichus of Apamea, was a Syrian Neoplatonist philosopher who determined the direction taken by later Neoplatonic philosophy. Moustapha Akkad was a Syrian American film producer and director, best known for producing the original series of Halloween films and directing Mohammad, Messenger of God and Lion of the Desert. He was killed along with his daughter Rima Akkad Monla in 2005 in Amman, Jordan by a suicide bomber. Mohamed Said Ramadan Al-Bouti was a notable Sunni Muslim scholar. He was killed on 21 March 2013, during the Syrian civil war, reportedly in a bomb explosion, though "many questions about the death" have been raised by videos of the scene. Called a "prolific writer whose sermons were regularly broadcast on television", and "more familiar to Syrian TV viewers than anybody other than President Bashar al-Assad", Al-Bouti authored more than sixty books on various Islamic issues, and was considered an important scholar of the approach based on the four schools of Sunni Islam and the Ash'arite school of theology. Avraam Russo is a Syrian-born Russian pop singer of Armenian origin. In 2006 he suffered an assassination attempt in Russia and was severely injured. He recovered and is living in New York City. Russo is an international artist who has recorded songs in a number of languages. He shot to fame with "Daleko Daleko" a Russian cover of a big Arabic language hit, "Tamally Maak" by Amr Diab. He has four platinum albums recorded in Russia Amor, Tonight, Prosto Lyubit' and Obruchalnaya with songs in Russian and English. Amor, a #1 smash in Russia and throughout Eastern Europe. He has sold millions of album copies worldwide. His most recent album is an all-English spiritual album Resurrection recorded in the United States where he resides with his wife Morela and daughter Emanuela. Pope Anicetus was the Bishop of Rome from c. 157 to his death in 168. According to the Annuario Pontificio, the start of his papacy may have been 153. His name is Greek for unconquered. According to the Liber Pontificalis, Anicetus was a Syrian from the city of Emesa. According to Irenaeus, it was during his pontificate that the aged Polycarp of Smyrna, a disciple of John the Evangelist, visited Rome to discuss the celebration of Passover with Anicetus. Polycarp and his Church of Smyrna celebrated the crucifixion on the fourteenth day of Nisan, which coincides with Pesach regardless of which day of the week upon this date fell, while the Roman Church celebrated the Pasch on Sunday—the weekday of Jesus' resurrection. The two did not agree on a common date, but Anicetus conceded to St Polycarp and the Church of Smyrna the ability to retain the date to which they were accustomed. The controversy was to grow heated in the following centuries. The Christian historian Hegesippus also visited Rome during Anicetus' pontificate. This visit is often cited as a sign of the early importance of the Roman See. Anicetus was the first Roman Bishop to condemn heresy by forbidding Montanism. He also actively opposed the Gnostics and Marcionism. Liber Pontificalis records that Anicetus decreed that priests are not allowed to have long hair. Ahmad Mouath Al-Khatib Al-Hasani is a former president of the National Coalition for Syrian Revolutionary and Opposition Forces. He is also a former imam of the Umayyad Mosque in Damascus. Rifaat Ali al-Assad is the younger brother of the former President of Syria, Hafez Assad and Jamil Assad, and the uncle of the incumbent President Bashar al-Assad. He is alleged by some sources to be the commanding officer responsible for the Hama massacre of 1982. Recently declassified material back his claims that his brother Hafez al-Assad was responsible, as do a number of commentators. He himself has always denied responsibility. He currently lives in France. Pope Constantine was the head of the Catholic Church from 25 March 708 to his death in 715. With the exception of Antipope Constantine, he was the only pope to take such a "quintessentially" Eastern name of an emperor. During this period, the regnal name was also used by emperors and patriarchs. Selected as one of the last popes of the Byzantine Papacy, the defining moment of Constantine's pontificate was his 710/711 visit to Constantinople where he compromised with Justinian II on the Trullan canons of the Quinisext Council. Constantine was the last pope to visit Constantinople until Pope Paul VI did again in 1967. Pope Gregory III was the head of the Catholic Church from 11 February 731 to his death in 741. His pontificate, like that of his predecessor, was disturbed by the iconoclastic controversy in the Byzantine Empire, and by the ongoing advance of the Lombards, in which he invoked the intervention of Charles Martel, although ultimately in vain. Musa bin Nusayr served as a governor and general under the Umayyad caliph Al-Walid I. He ruled over the Muslim provinces of North Africa, and directed the Islamic conquest of the Visigothic Kingdom in Hispania. Walid Mohi Edine al Muallem is a Syrian diplomat and Ba'ath Party member who has served as Foreign Minister since 21 February 2006. Rafik Schami is a Syrian-German author, storyteller and critic. Ananias, was a disciple of Jesus at Damascus mentioned in the Acts of the Apostles in the Bible, which describes how he was sent by Jesus to restore the sight of "Saul, of Tarsus" and provide him with additional instruction in the way of the Lord. Bassel al-Assad was the eldest son of former Syrian President Hafez al-Assad and the older brother of President Bashar al-Assad. He was widely expected to succeed his father had it not been for his own death in a car accident. Duraid Lahham is a leading Syrian comedian and director born 1934 in Damascus, Syria. He is famous for acting the role of "Ghawwar" in a number of movies and series. His co-star throughout his career was Nihad Qal'i who played the role of "Husni". 'Dr. Faisal al-Qassem, also written as Faisal Al-Kasim is an internationally-renowned British-Syrian veteran and television personality based in Qatar, who is known for hosting the famous and controversial live debate show The Opposite Direction on Al Jazeera, where two guests with extremely opposed view points debate on current affairs. Fights break out on occasions. Al-Qassem is known for his provocative on-screen style, and is frequently credited with playing a large part in Al Jazeera's reputation in the Arab world as willing to break taboos and potentially offend individuals and states. He was listed by Arabian Business Magazine as one of the top most influential Arab personalities for the year 2007, ranked as 64th. Al-Qassem is married to a Syrian woman who comes from the same village, and has 3 children, a girl, Siba, and two boys, Aseel and Adam. Outside his work in media, Al-Qassem enjoys a range of interests and pastimes including internet surfing, shopping, and listening to music. Sulaf Fawakherji is a prominent Syrian film and TV actress, notable for her distinctive light eyes. She has played many roles on Syrian soap operas. Fawakherji studied art and sculpture at Adham Ismail Fine Arts Institute before starring on stage in plays including Al-Sawt and Hekayat al-Shetaa. She was one of the torchbearer during the leg of the 2008 Summer Olympics torch relay. She appeared on Syrian television in May 2011 in defense of Bashar al-Assad and the Syrian government. Julia Domna was a member of the Severan dynasty of the Roman Empire. Empress and wife of Roman Emperor Lucius Septimius Severus and mother of Emperors Geta and Caracalla, Julia was among the most important women ever to exercise power behind the throne in the Roman Empire. Riad Mousa al-Asaad was a commander of the Free Syrian Army. He was a former Colonel in the Syrian Air Force who defected in July 2011. Al-Asaad had announced his defection on 4 July 2011, while he established the Free Syrian Army on 29 July 2011. He went to the Turkish Hatay Province, where he was under patronage of the Turkish Army. After UN military observers entered Syria, al-Asaad announced a ceasefire for all forces, committed to the Kofi Annan peace plan for Syria. However, after a few days he has reannounced continuation of attacks led by rebels because the government of Bashar al-Assad, according to him, did not make peace as promised. On 31 May 2012, al-Asaad urged Kofi Annan to scrap his peace plan which he claims failed. Moreover, al-Asaad opposes any exile solution for Assad, and seeks for fighting until al-Assad's regime is overthrown. In an interview with the Voice of Russia made in early August 2012, al-Asaad claimed that the Syrian government attempted to assassinate him several times and for that reason he is being guarded by the Turkish intelligence. Colonel Kasim Saaduddin, a member of the FSA stated that al-Asaad does not have control over the Free Syrian Army, which al-Asaad himself denied in the interview. Adib Bin Hassan Al-Shishakli was a Syrian military leader and President of Syria. Born in Hama in 1909, Shishakli served with the French Army during the mandate era. He studied at the Military Academy of Damascus and became an early member of the Syrian Social Nationalist Party of Antun Saadeh, promoting the concept of a Greater Syria. His brother Salah was also a prominent member of the SSNP. After independence, Shishakli fought in a volunteer Arab army, known as the Army of Deliverance, against the Zionist militias in the 1948 Arab-Israeli War. Shishakli was born in Ottoman-Syria, and he is considered Syrian. His father, Ali Hasan Shishakli, was a Turk, born in Ankara. His mother was Syrian, although her ethnic background is not known. They were a family living in the Hama province of Ottoman Syria, since during his early childhood, Syria was a part of Ottoman Empire. His family name, Shishakli, is a common Turkish surname, and written as "Çiçekli" in Turkish. "Çiçek" means flower in Turkish, and Çiçekli means someone or some place with flowers. Others say he was from a notable Syrian-Kurdish family. Saint John Climacus, also known as John of the Ladder, John Scholasticus and John Sinaites, was a 7th-century Christian monk at the monastery on Mount Sinai. He is revered as a saint by the Roman Catholic, Oriental Orthodox, Eastern Orthodox and Eastern Catholic churches. We have almost no information about John's life. There is in existence an ancient Vita, Life of the saint by a monk named Daniel of Raithu monastery. Daniel, though claiming to be a contemporary, admits to no knowledge of John's origins—any speculation on John's birth is the result of much later speculation, and is confined to references in the Menologion. The Vita is generally unhelpful for establishing dates of any kind. Formerly scholarship, on the basis of John's entry in the Menologion, had placed him in the latter 6th Century. That view was challenged by J.C. Guy and others, and consensus has shifted to a 7th Century provenance. If Daniel's Vita is trustworthy, then John came to the Vatos Monastery at Mount Sinai, now Saint Catherine's Monastery, and became a novice when he was about 16 years old. He was taught about the spiritual life by the elder monk Martyrius. After the death of Martyrius, John, wishing to practice greater asceticism, withdrew to a hermitage at the foot of the mountain. In this isolation he lived for some twenty years, constantly studying the lives of the saints and thus becoming one of the most learned Church Fathers. When he was about seventy-five years of age, the monks of Sinai persuaded him to become their Igumen. He acquitted himself of his functions as abbot with the greatest wisdom, and his reputation spread so far that, according to the Vita, Pope Gregory the Great wrote to recommend himself to his prayers, and sent him a sum of money for the hospital of Sinai, in which the pilgrims were wont to lodge. Apollodorus of Damascus was a Greek engineer, architect, designer and sculptor who flourished during the 2nd century AD, from Damascus, Roman Syria. Ighraa, also romanised as Igraa, is a Syrian actress and belly dancer who reached her fame mostly in Syrian cinema of the 1970s. Born Nihad Alaeddin, she left her native Syria with her elder sister for Egypt in 1958. Trained under famous Egyptian belly dancer Tahiya Karioka, she was given the stage name Ighraa. After appearing in various films and TV dramas in Egypt and later in Syria, she made her acting breakthrough with The Leopard by Nabil Maleh released in 1972. Her scenes in the film were considered as transgressive and caused widespread criticism and box office success. After films such as Al-Mughamara and into late 1970s, she chose a lower profile but has remained a symbol of "openness and liberalism that reigned in the Arab world during the 1960s and ’70s." Yasser Seirawan is a chess grandmaster and four-time United States champion. He was winner of the World Junior Chess Championship in 1979. Seirawan is also a respected chess author and commentator. Émile Benveniste was a French structural linguist and semiotician. He is best known for his work on Indo-European languages and his expansion of the linguistic paradigm established by Ferdinand de Saussure. Initially studying under Antoine Meillet, a former student of Saussure, at the Sorbonne, he began teaching at the École Pratique des Hautes Études and was elected to the Collège de France a decade later in 1937 as professor of linguistics. By this time he had already begun his investigation into the status of names within the history of Indo-European linguistic forms. He held his seat at the Collège de France until 1969 when he retired due to deteriorating health. However, he served as the first President of the International Association for Semiotic Studies from 1969 to 1972. Benveniste was born in Aleppo, Aleppo Vilayet, Ottoman Syria. At the start of his career, his highly specialised and technical work limited his influence to a small circle of scholars. The publication of his monumental text, Problèmes de linguistique générale or Problems in General Linguistics, would elevate his position to much wider recognition. The two volumes of this work appeared in 1966 and 1974 respectively. The book exhibits not only scientific rigour but also a lucid style accessible to the layman, consisting of various writings culled from a period of more than twenty-five years. In Chapter 5, Animal Communication and Human Language, Benveniste refutes behaviourist linguistic interpretations by demonstrating that human speech, unlike the so-called languages of bees and other animals, cannot be merely reduced to a stimulus-response system. Assef Shawkat was the deputy Minister of Defense of Syria from September 2011 until his death in July 2012. He and two other top Syrian government officials were killed on 18 July 2012 in Damascus during a deadly bomb attack masterminded and organized by Free Syrian Army. Muhammad ibn Ahmad ibn `Uthman ibn Qaymaz ibn `Abd Allah, Shams al-Din Abu `Abd Allah al-Turkmani al-Diyarbakri al-Fariqi al-Dimashqi al-Dhahabi al-Shafi`i, known as Al-Dhahabi, a Shafi'i Muhaddith and historian of Islam. Abu Tammam was an Abbasid era Arab poet and Muslim convert born to Christian parents. Eunus, a slave from Apamea in Syria, became leader of the slave uprising in the First Servile War in Sicily. Eunus rose to prominence in the movement through his reputation as a wonder-worker and prophet. In addition to an alleged ability to blow fire from his mouth, Eunus claimed to receive visions and communications from the goddess Atargatis, a prominent goddess in his homeland, whom he came to identify with Sicilian Demeter. One of his prophetic predictions was that the rebel slaves would successfully capture the city of Enna. Eunus participated in the storming of Enna, and Diodorus Siculus provides a description of him standing in the front ranks of the assault, blowing fire from his mouth. Upon the capture of Enna, Eunus was crowned king. He subsequently took the name Antiochus, a name used by the Seleucids who ruled Syria, and called his followers, who numbered around 70,000, his Syrians. After the slave army was defeated by a Roman army under the leadership of Perperna, Eunus, with members of his "court," took refuge in a cavern, where he was subsequently captured. Most of the literary evidence for Eunus and the First Servile War comes from the writings of Diodorus Siculus, who used Posidonius as his primary source. Florus' Epitome, which provides excerpts from lost portions of Livy is the most detailed Latin account. Both Diodorus and Posidonius were sympathetic to the Romans. Diodorus lived in Rome and Cicero asked Posidonius to write an account of the former's consulate. Since Eunus was a defeated enemy of Rome, their accounts of both the slave uprising and its leader were likely biased. On the other hand, Posidonius, like Eunus, was from Syrian Apamea, and the details about Eunus' worship of Atargatis probably arise from his personal knowledge of the goddess's mendicant priests. Levon Ter-Petrosyan is an Armenian politician. He was the first President of Armenia from 1991 to 1998. A senior researcher at the Matenadaran Institute of Ancient Manuscripts, he led the Karabakh movement for the unification of the Armenian-populated Nagorno-Karabakh with Armenia in 1988. After Armenia's independence from the Soviet Union in 1991, Ter-Petrosyan was elected president in October 1991 with overwhelming public support. He led the country through the Nagorno-Karabakh War with neighboring Azerbaijan, during which the Armenian army took control of Karabakh and the surrounding districts. He has been accused of rigging the 1996 election, causing thousands to go into the streets to protest the results. The protesters were led by official runner-up Vazgen Manukyan, Ter-Petrosyan's former colleague and his first Prime Minister and later the Defence Minister. The mass rallies were suppressed by military force. Due to disagreements with the key government members, especially Defence Minister Vazgen Sargsyan and Prime Minister Robert Kocharyan, Ter-Petrosyan resigned on 3 February 1998. From his resignation up to 2007, Ter-Petrosyan was inactive in the political scene, however, he made a political comeback in September 2007 and ran for presidency in 2008. He faced one of his former government members, at the time Prime Minister Serzh Sargsyan. According to official results, he earned only 21.5% of the total vote. Sargsyan claimed the elections were rigged and led thousands of his supporters into mass protests against the alleged electoral fraud and called for new elections. After a week of mass protests, the government used police and apparently military force to disperse his supporters, resulting in the death of ten people on 1 March 2008. Adnan Mohammed al-Aroor is a salafi cleric from Hama, Syria. Al-Aroor appears regularly on TV stations in Syria, including the widely watched satellite channel al-Safa, where he is known for his programs criticizing non-Salafi Islamic minorities fighting with the government. He became widely known and promoted after the start of the Syrian civil war and was seen by some as the non-official face of the anti-government movement in Syria. He favors arming the opposition and a foreign military intervention. According to The Economist: "Those who tuned in to Mr Arour’s weekly show were attracted less by his Sunni triumphalism than by his theatrical appeals for all Syrians to rise and fight, something opposition intellectuals in exile neglected to do. But as Syria’s misery has ground on, sectarian fault lines have inexorably widened. Mr Arour’s views, once widely dismissed as extreme, now look closer to the mainstream, at least among the three-quarters of Syrians who are Sunni Muslims." Abbas al-Noury is a Syrian television actor, known for his role in the Syrian series Bab al-Hara 1 and 2, and for being the leading Syrian actor of "Al Ijtiah" TV series about the atrocities in Jenin camp in Palestine, this series was the first Arabic TV production to win the ] in 2008. The popular television actor had joined the Syrian army and got injured during a battle in Sayf al-Dawla district in Aleppo. Shāh Nimatullāh or Shāh Ni'matullāh Wali, also spelled as Ne'matollah, Ni'matallah and Ni'mat Allāh, was a Sufi Master and poet from the 14th and 15th centuries. Today there is a Sufi order Nimatullahi that considers him its founder. Ciwan Haco is a Kurdish singer. He was born near Qamishlo in Syria. His grandfather was originally from Mardin, Turkey. After finishing high school, he left for Germany in order to continue his studies. He studied music at the University of Bochum for three years. He is now residing in Sweden. Farouk al-Sharaa is a Syrian politician and diplomat. He is one of the most prominent officials in the Syrian government and served as foreign minister of Syria from 1984 until 2006 when he became Vice President of Syria. Raed or Rayed Arafat is a Syrian-born Romanian intensive care physician of Palestinian origin. An anesthesiologist, he is the founder of Mobile Emergency Service for Resuscitation and Extrication, as well as the coordinator of Mureș County. He is also the Minister of Health since 7 November 2012, after serving as Under-Secretary of State for Health in the Romanian Government. Saint Domnius was a 3rd-century Bishop of Salona and patron of the city of Split. Salona was a large Roman city serving as capital of the Province of Dalmatia. Today it is located near the city of Split in modern Croatia. Saint Domnius was martyred with seven other Christians in the persecutions of the Emperor Diocletian. He was born in Antioch, in modern-day Turkey but historically in Syria, and beheaded in 304 at Salona. He was more likely a martyr of the 4th century, but Christian tradition also states that he was one of the Seventy Disciples of the 1st century. This tradition holds that Domnio came to Rome with Saint Peter and was then sent by Peter to evangelize Dalmatia, where he was martyred along with 8 soldiers he had converted. Ghassan Massoud is a Syrian actor and filmmaker. He is known in the West for playing the role of Muslim ruler Saladin in Ridley Scott's 2005 film Kingdom of Heaven. Massoud also played the "Sheikh" in the Turkish film "Kurtlar Vadisi: Irak", and Ammand the Corsair in Pirates of the Caribbean: At World's End. Massoud turned down a role in the 2005 film Syriana, claiming he feared the movie would be anti-Arab. Massoud also cited concerns regarding the political situation in his country and the wider region in declining the role. He later said he regretted his decision after seeing the completed film. Massoud is known in Syria for his appearance in many Syrian-made films, and writing and directing the theatre play Diplomasiyyoun, and was part of the Syrian Ministry of Culture’s National Theater’s 2002 season. He has appeared in the Syrian television miniseries The Chant of Rain, and in Haytham Hakky's well known work Memories of the Forthcoming Age, and on the Syrian stage was an actor in August Strindberg's Miss Julie. Most recently, he starred as the companion of the Prophet Muhammad, Abu Bakr in MBC's Omar Series. Abdul Halim Khaddam is a Syrian politician who was Vice President of Syria from 1984 to 2005. He was one of the few Sunni Muslims to make it to the top of the Alawite-dominated Syrian leadership. He was long known as a loyalist of Hafez Assad, and held a strong position within the Syrian government until he resigned his positions and fled the country in 2005 in protest against certain policies of Hafez's son and successor, Bashar Assad. Ali Farzat is a renowned Syrian political cartoonist. He has published more than 15,000 caricatures between Syrian, Arab and international newspapers. He serves as the head of the Arab Cartoonists' Association. In 2011 he received Sakharov Prize for peace. Farzat was named one of the 100 most influential people in the world by Time magazine in 2012. Firas Mohamad Al Khatib is a Syrian footballer. He currently plays for Shanghai Shenhua, which competes in Chinese Super League. He plays as a striker. He retired from playing for the Syrian national football team in 2012 for political reasons. Nicolaus of Damascus was a Greek historian and philosopher who lived during the Augustan age of the Roman Empire. His name is derived from that of his birthplace, Damascus. He was born around 64 BC. He was an intimate friend of Herod the Great, whom he survived by a number of years. He was also the tutor of the children of Antony and Cleopatra, according to Sophronius. He went to Rome with Herod Archelaus. His output was vast, but is nearly all lost. His chief work was a universal history in 144 books. He also wrote an autobiography, a life of Augustus, a life of Herod, some philosophical works, and some tragedies and comedies. There is an article on him in the Suda. Rami Makhlouf is a wealthy Syrian businessman and the maternal cousin of President Bashar Assad. He is considered one of the most powerful men in Syria and according to Syrian analysts no foreign company can do business in Syria without his consent and partnership. He is a part of Bashar Assad's inner circle. He is regarded as Syria's wealthiest man - worth approximately 5 billion dollars. Shukri al-Quwatli was the president of Syria from 1943 to 1949 and from 1955 to 1958. Mustafa Abdul Qadir Tlass is a Syrian senior military officer and politician who was Syria's minister of defense from 1972 to 2004. He was part of the four-member Regional Command during the Hafez Assad era. Sultan al-Atrash, Commonly known as Sultan Pasha al-Atrash was a prominent Arab Druze leader, Syrian nationalist and Commander General of the Syrian Revolution. He fought against the Ottomans, French, and even against the Syrian government in its days of dictatorship. One of the most influential figures in Syrian and Druze history, he played a major role in deciding the destiny of Jabal al-Druze and of Syria in general. Ayman Zeidan is an award-winning Syrian TV host, comedian, voice actor and actor of film, television, and theater. Zeidan has starred in several notable television series and shows, and gained much success in sitcoms. Zeidan is also a regular theater actor. Additionally, Zeidan has had a few film and radio voice-over roles. Zeidan hosted the Abu Dhabi TV game show, Waznak Dahab, and helped popularize the show. Ghada Al-Samman is a Syrian writer, journalist and novelist born in Damascus in 1942 to a prominent and conservative Damascene family, she is remotely related to Nizar Qabbani the famous poet. Her father was Ahmed Al-Samman, a president of the Syrian University. She was deeply influenced by him since her mother died at a very young age. Saint Romanos the Melodist or the Hymnographer, was one of the greatest of Greek hymnographers, called "the Pindar of rhythmic poetry". He flourished during the sixth century, which is considered to be the "Golden Age" of Byzantine hymnography. Naser Khader is Danish-Syrian and a former member of the Parliament of Denmark for the Conservative Party. As a member of Parliament, he has represented both Social Liberal Party and Liberal Alliance, the latter as founding leader, until January 5, 2009. A leading proponent of peaceful co-existence of democracy and Islam, he established a new movement, Moderate Muslims, when the Jyllands-Posten Muhammad cartoons controversy began. In the national elections on 13 November 2007, Naser Khader's Liberal Alliance party won five parliamentary seats. After a crumbling of the party and its membership base, Naser Khader left the party. Following a short period as an Independent Member of the Danish Parliament, Naser Khader joined the Conservative People's Party 17, March 2009. Khader lost his mandate in the 2011 Danish parliamentary election. Khader is co-founder of an association of globally critically acclaimed Islamism critics, who work to promote freedom of speech and inspire moderate Muslims worldwide. Khader, and the Conservative Party advocate a complete ban on the burqa as part of an integration initiative by the Conservatives' parliamentary group, describing it as "un-Danish" and "oppression against women". Salah ad-Din al-Bitar was a Syrian politician who co-founded the Arab Ba'ath Party with Michel Aflaq in the early 1940s. As students in Paris in the early 1930s, the two formulated a doctrine that combined aspects of nationalism and socialism. Bitar later served as prime minister in several early Ba'athist governments in Syria but became alienated from the party as it grew more radical. In 1966 he fled the country, lived mostly in Europe and remained politically active until he was assassinated in 1980. Muhammed Ahmed Faris is a Syrian military aviator. He was the first Syrian and the second Arab in space. Born in Aleppo, Syria, he was a pilot in the Syrian Air Force with the rank of a colonel. He specialized in navigation when he was selected to participate in the Intercosmos spaceflight program on 30 September 1985. He flew as Research Cosmonaut in the Interkosmos program on Soyuz TM-3 to the Mir space station in July 1987, spending 7 days 23 hours and 5 minutes in space. He returned to Earth aboard Soyuz TM-2. Muhammed Faris was awarded the title Hero of the Soviet Union on 30 July 1987. He was also awarded the Order of Lenin. After his spaceflight, he returned to the Syrian Air Force and lived in Aleppo. He is married and has three children. On 4 August 2012, during the Syrian civil war, he defected from Assad's government and joined the armed opposition. On 13 September 2012, made an exclusive interview with Al Aan TV and covered many topics regarding the Syrian civil war. Ghada Shouaa is a retired Syrian heptathlete. At the 1996 Summer Olympics, she won her country's first and only Olympic gold medal. Louay M. Safi is a Syrian-American, a scholar of Islam and the Middle East, and an advocate of Arab and Muslim American rights. He published on such issues as social and political development, modernization, democracy, human rights, and Islam and Modernity. He is the author of 11 books and numerous papers, and speaker on questions of leadership, democracy, Islam and the Middle East. Louay Safi is also chairman of the Syrian American Council and testified in front of the Tom Lantos Human Rights Commission on Syria. Aemilius Papinianus, also known as Papinian, was a celebrated Roman jurist, magister libellorum and, after the death of Gaius Fulvius Plautianus in 205, praetorian prefect. Aydan Şener is a Turkish film and television actress of Tatar descent, former model, Miss Turkey 1981 and a beauty contestant in Miss World 1981. Burhan Ghalioun, is a French Syrian professor of sociology at the Université de Paris III Sorbonne University in Paris, and the first chairman of the Syrian opposition Transitional National Council. He was named chairman on 29 August 2011. His chairmanship was criticized for his perceived closeness to the Muslim Brotherhood, his early reluctance to arm opposition forces, and what opponents called the autocratic nature of his leadership. On 17 May 2012, feeling he had become an increasingly divisive figure for the council, Ghalioun resigned. Adel Safar is a Syrian politician and academic, who served as Prime Minister of Syria from 14 April 2011 to 23 June 2012. His government was dissolved by Bashar al-Assad as a result of the Syrian parliamentary election in 2012. He was Minister of Agriculture and Agrarian Reform from 2003 to 2011. Zakaria Tamer, also transliterated Zakariya Tamir, is an influential master of the Arabic-language short story. He is one of the most important and widely read and translated short story writers in the Arab world, as well as being the foremost author of children’s stories in Arabic. He also writes children's stories and works as a freelance journalist, writing satirical columns in newspapers. His volumes of short stories, are often reminiscent of folktales, and are renowned for their relative simplicity on the one hand and the complexity of their many potential references on the other. They often have a sharp edge and are often a surrealistic protest against political or social oppression and exploitation. Most of Zakaria Tamer’s stories deal with people’s inhumanity to each other, the oppression of the poor by the rich and of the weak by the strong. The political and social problems of his own country, Syria, and of the Arab world, are reflected in the stories and sketches in the satirical style typical of his writing. His first stories were published in 1957. Since then he has published eleven collections of short stories, two collections of satirical articles and numerous children’s books. His works have been translated into many languages, with two collections in English, Tigers on the Tenth Day and Breaking Knees, published June 2008. Manaf Tlass is a former Brigadier General of the Syrian Republican Guard and member of Bashar al-Assad's inner circle. Muhammed al-Maghout was a Syrian Ismaili writer and poet. He was born in Salamiya, Syria. Muhammad Maghout was credited as the father of the Arabic free verse poetry, liberating the Arabic poems from the traditional form and revolutionizing the structure of the poem. He wrote for theater, TV and cinema. Maghout's work combined satire with descriptions of social misery and malaise, illustrating what he viewed as an ethical decline among rulers in the region. Some of his themes included the problems of injustice and totalitarian governments. He co-operated with Syrian actors Dureid Lahham and Nihad Qal'i to produce some of the region's most popular and acclaimed theatrical works, such as Kasak ya Watan and Ghorbeh. Al-Maghout was also known for his book "I will betray my homeland", a collection of essays. Al-Maghout died at the age of 72 in April 2006. Amin al-Hafiz was a Syrian politician, general and member of the Ba'ath Party. Damascius, known as "the last of the Neoplatonists," was the last scholarch of the School of Athens. He was one of the pagan philosophers persecuted by Justinian in the early 6th century, and was forced for a time to seek refuge in the Persian court, before being allowed back into the Empire. His surviving works consist of three commentaries on the works of Plato, and a metaphysical text entitled Difficulties and Solutions of First Principles. Aliye Rona, née Dilligil, was a Turkish film actress starring in more than 130 movies, mostly of drama and romance genre, from 1947 until her death. She was born in Daraa, Ottoman Empire. After acting in theater, she transferred to cinema in 1947. Aliye Rona, who was sister of Avni Dilligil, actor, screenwriter and film director, and had a marriage with the actor Zihni Rona, died on August 27, 1996 in Istanbul.